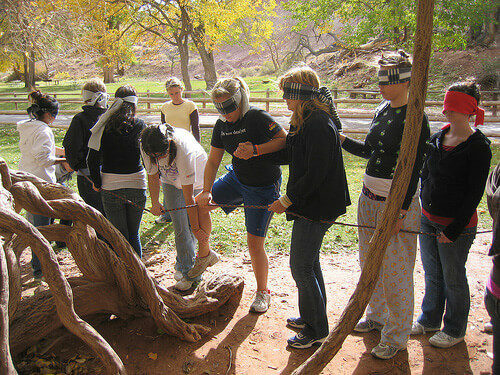 Ropes courses and other problem-solving activities used at New Haven are implemented to simulate real-life challenges. Through these experiential activities, tangible patterns and issues can be unearthed. 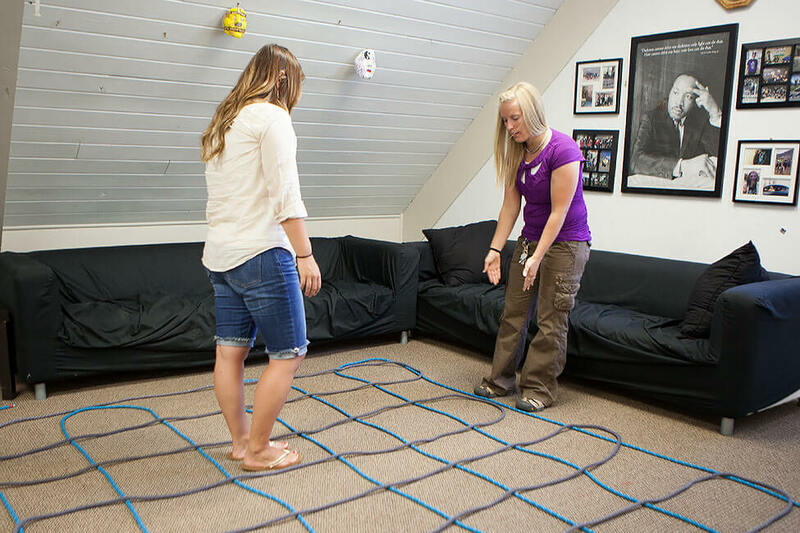 Therapeutic recreation can also be used as an enactment. An enactment is a way of involving the system as a whole, instead of focusing on one individual for treatment. We do this in recreation therapy in the community and also with the families during family weekends. Recreation therapy helps remove the emotional charge behind a situation and allows individual patterns to emerge through a selected task. It brings to light the family/community dynamics and the roles that each person plays in that setting which are generally isomorphic and indicate how they usually approach problem-solving, relationships, emotions, etc. They can reflect on patterns and examine what is working well and what they could improve. Involving students and families in challenging and unpredictable tasks helps them think in new ways about old problems, identify what needs to be changed in their lives and relationships, and take the decisive steps to achieve more happiness and success in life. 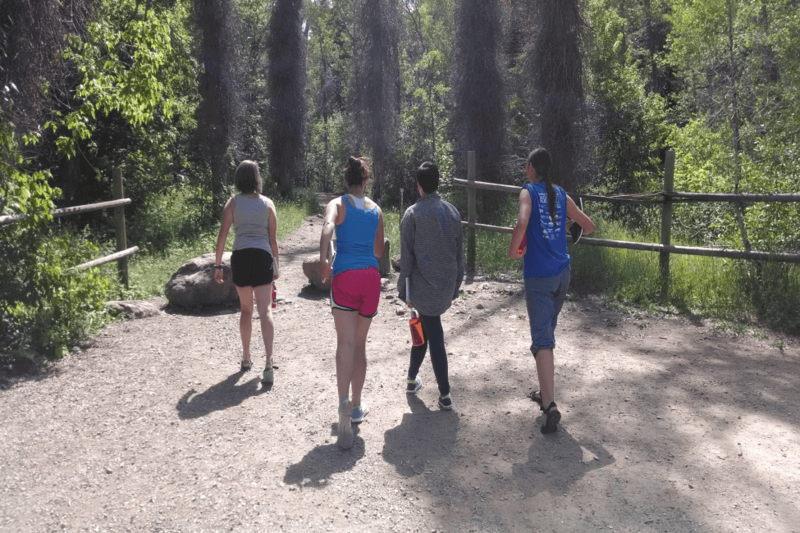 Recreational therapy is a powerful way for families to overcome their challenges and difficulties and move forward together. 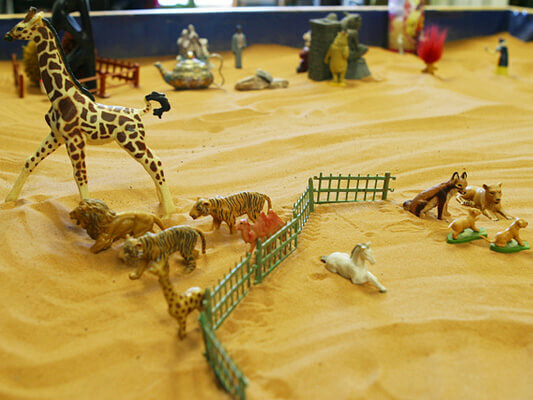 One great example of recreational therapy is an activity called Minefield. When participating in Minefield one person (usually the daughter first) puts on a blindfold and her parents will verbally guide her through an obstacle course. There are a lot of things to observe; we watch to see if the girl peeks under the blindfold, or if she can completely trust her parents to get her through. We watch to see how she takes directions: Does she just listen? Ask questions? Move on her own? Get impatient waiting for directions? We also watch to see how the parents give directions: Do they work together or do they have a difference of opinion? Are they willing to compromise? 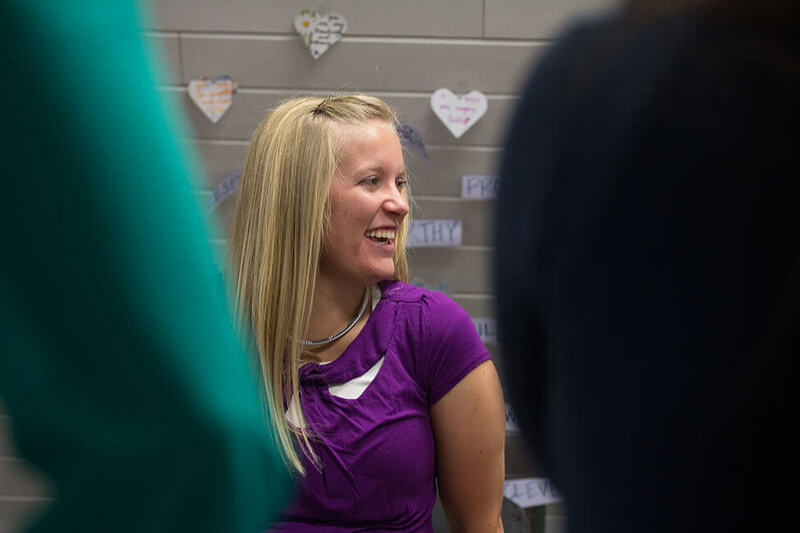 We always talk about what the experience is like for the participants and what they can learn from it to help improve their relationships and life at home. 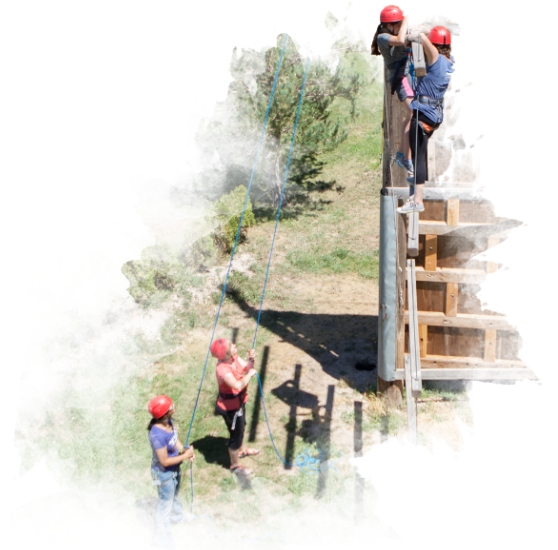 Another powerful example of recreational therapy is the ropes course. High Ropes activities can be a scary challenge for people. We ask everyone to push through their fear and trust themselves, trust the ropes, trust the recreational therapist and trust one another. 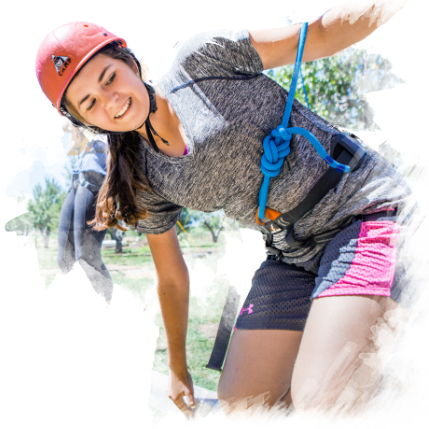 When a girl or parent climbs up 30 feet in the air and is able to complete an amazing task, it gives them a sense of accomplishment and boosts self-confidence. This increases self-efficacy and brings the realization that since they did something so difficult in that moment, that they can apply it to other situations in life and overcome hardships and difficulties by facing their fears.